My parents and sister Amy came over for dinner tonight. We had plans to eat and then head across the road into the “Farmer’s Field” for a hike. On the way to our house, they stopped by a friend’s house who was on vacation and had asked them to pick the vegetables from her garden while she was gone. She had mentioned to them that she had bunches of broccoli, so Amy was planning on whipping up a pot of broccoli cheese soup when she got to our house. Since Amy was making the main course, I decided to make the fun stuff, dessert! 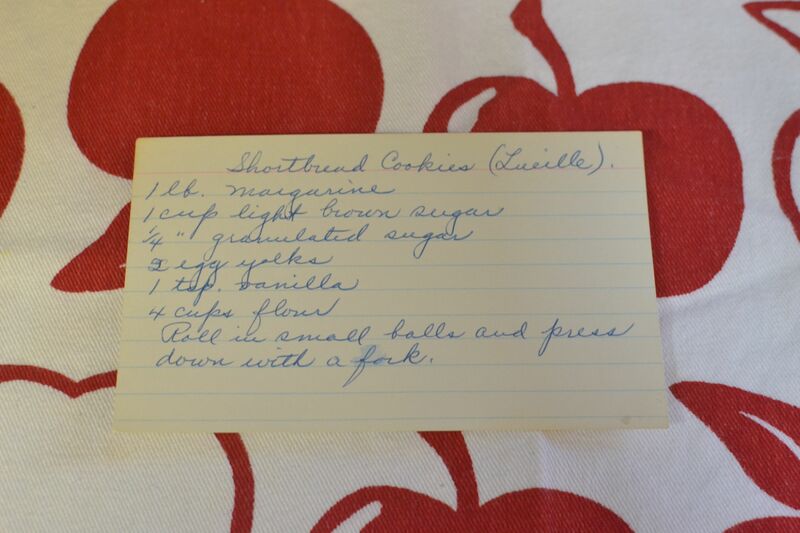 I opened Grandma Dora’s recipe box and came across a simple recipe for shortbread cookies. It had very few ingredients and I could tell it wouldn’t take long to make them. I pulled everything that I needed out of the cupboard and started baking. Cream butter, brown sugar, sugar, egg yolk and vanilla. Add flour. Roll dough in small balls and place on ungreased cookie sheets. 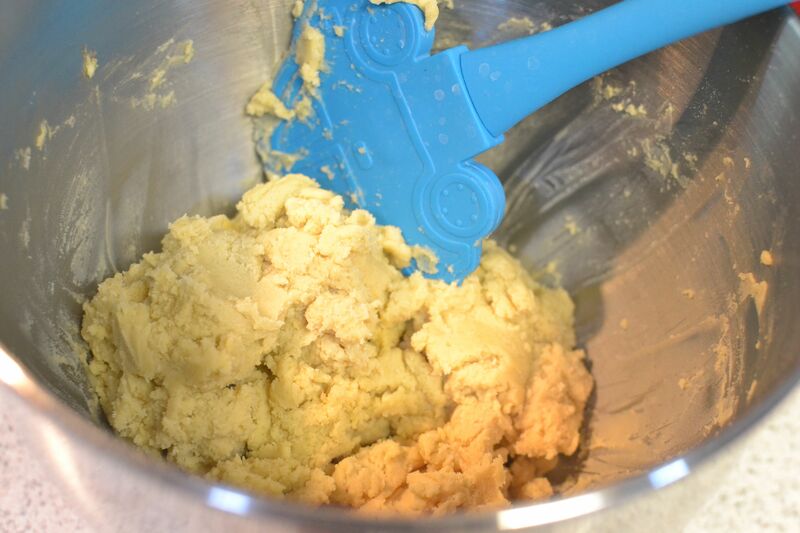 Press dough down with a fork. 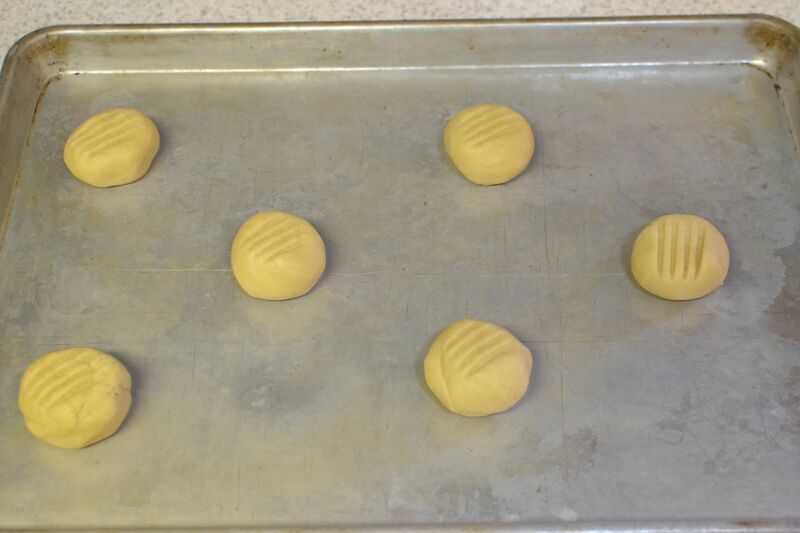 Cook in a 350 degree oven for 10 minutes or until bottoms of cookies begin to lightly brown. I started by creaming the butter, brown sugar, sugar, egg yolk, and vanilla. 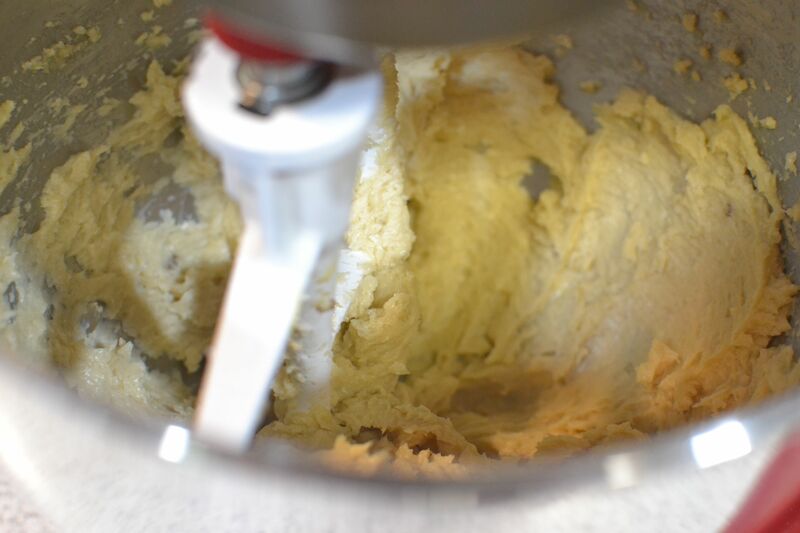 I rolled the dough into small balls and pressed them down gently with the tines of a fork. Once the oven was preheated to 350 degrees, I popped the tray into the oven. I wasn’t sure how long they needed to bake, but 10 minutes seemed to be the magic number. We all sampled a cookie before our hike out in the field tonight. They were light and really tasty! Lucille’s Shortbread Cookies are petite and adorable. They are simple to make and even easier to eat! 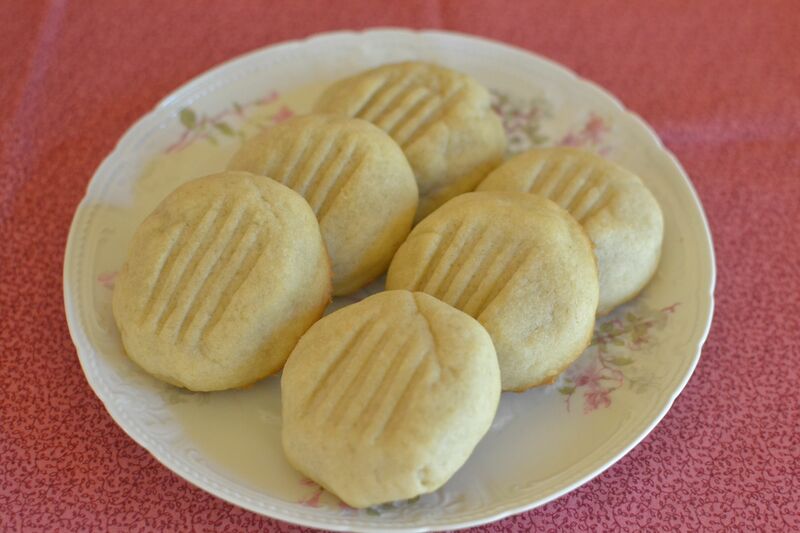 This entry was posted in Cookies and tagged Cookies, farm cooking, grandma's cooking, homemade, scratch cooking, Shortbread Cookies by GrandmothersRecipeBox. Bookmark the permalink.